Monaco midfielder Joao Moutinho has given a big blow to Premier League duo Chelsea and Arsenal who were ready to go head to head for him in January according to Express. Monaco midfielder Joao Moutinho has given a big blow to Premier League duo Chelsea and Arsenal who were ready to go head to head for him in January, according to Express. The London sides were planning for a £30 million offer for the Portugal international. Manchester United were also keeping tabs on him. All the hopes of these clubs went down when Moutinho revealed his desire to stay in France unlike James Rodriguez and Radamel Falcao. James Rodriguez joined Real Madrid in the summer while Radamel Falcao is still a Monaco player but is on a two-year loan at Manchester United. 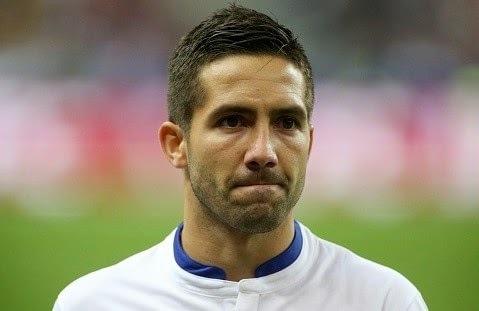 Moutinho was reportedly eyeing a move in January but he cleared all the rumours by saying that he is committed to Monaco and has no plans to leave in January neither in the summer. All the three Premier League sides Chelsea, Arsenal and Manchester United are eyeing a midfielder and have been in link with several and now they will have to look for other targets as the Monaco star denied to leave the French outfit. The former Porto star moved to Monaco last year for a fee around €25million. He has played 50 games for the Ligue 1 side since his move.